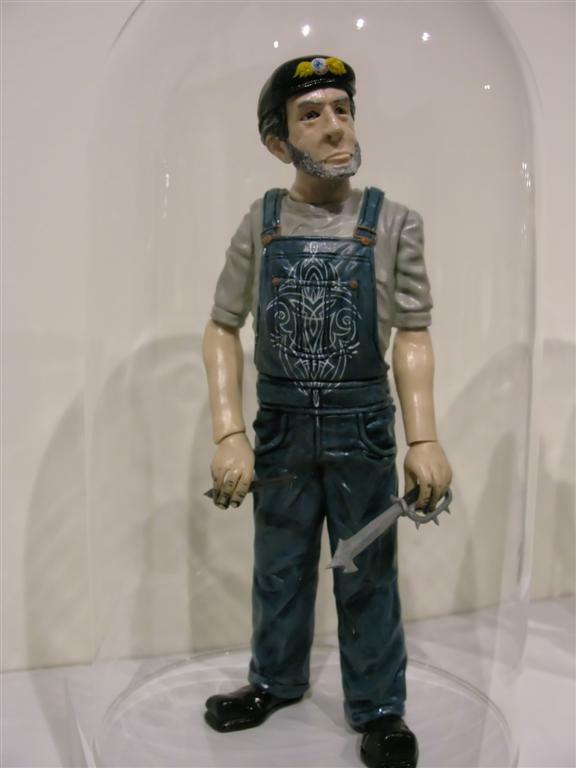 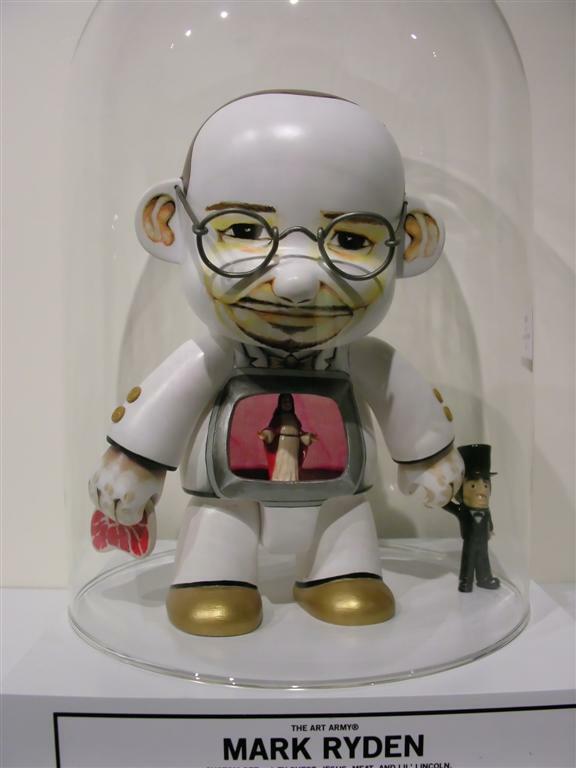 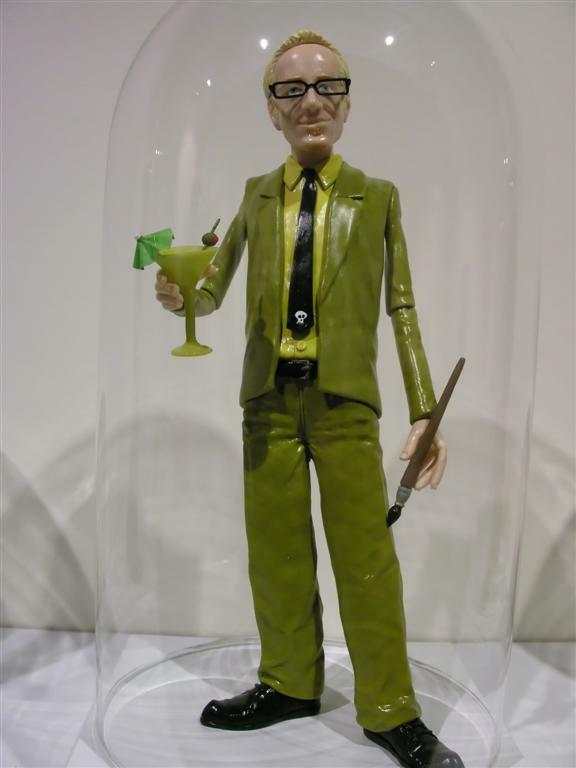 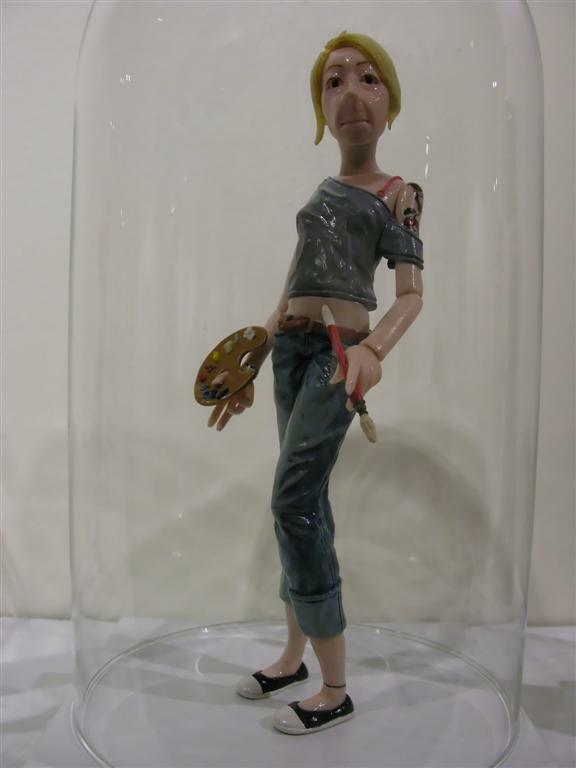 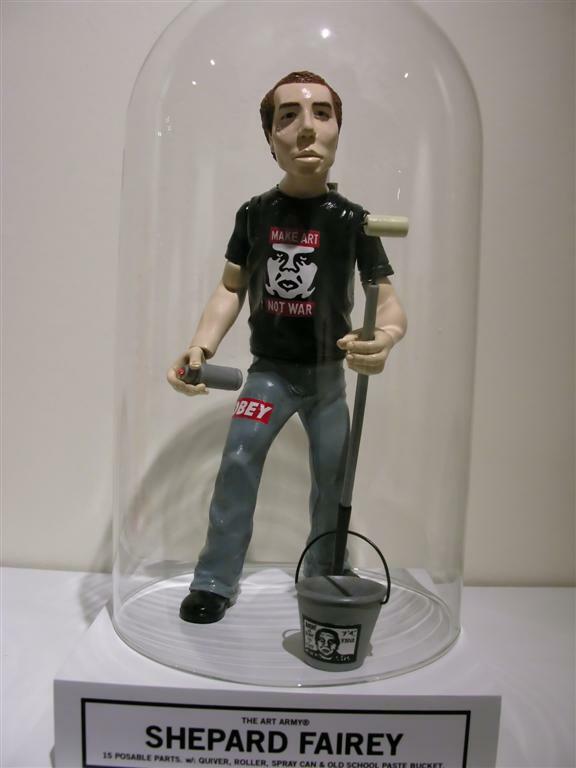 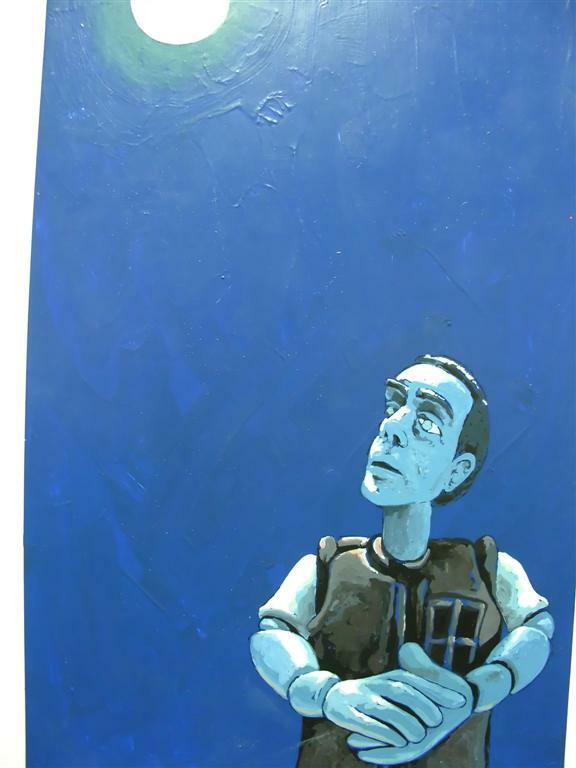 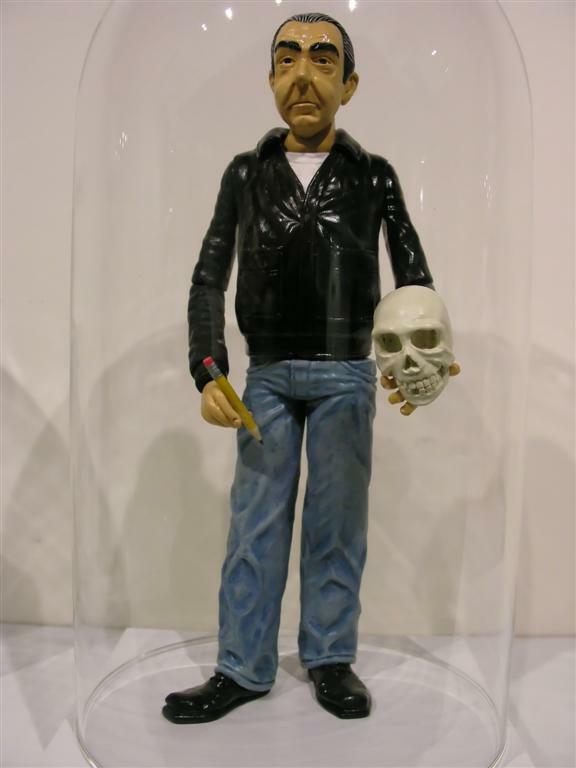 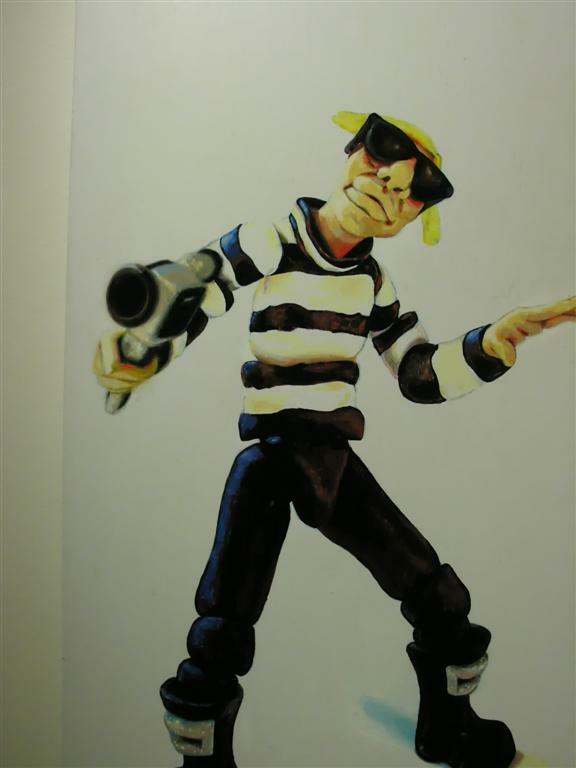 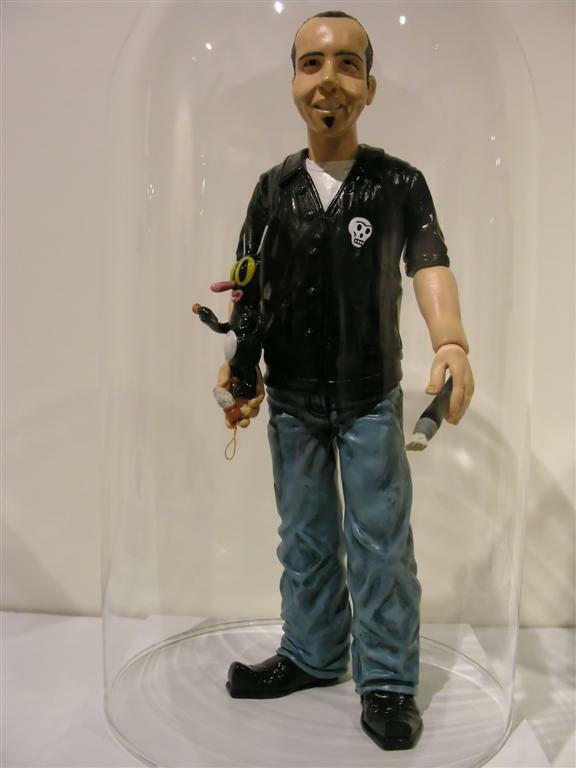 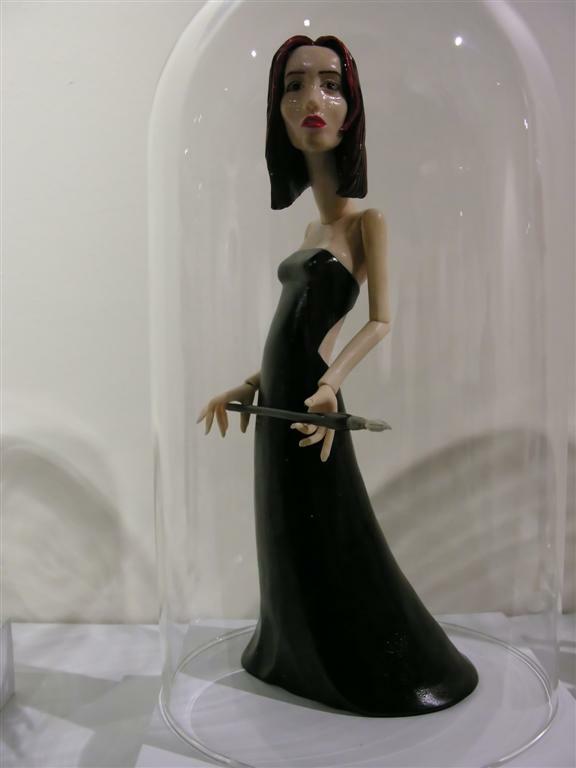 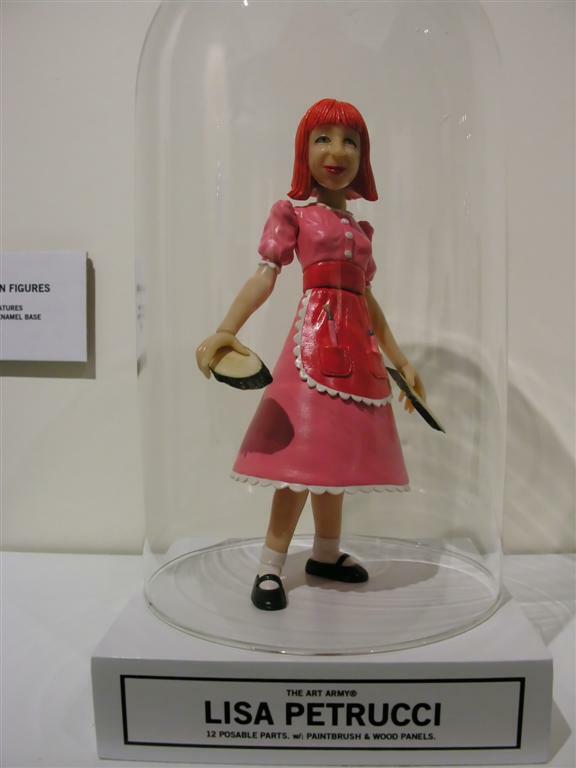 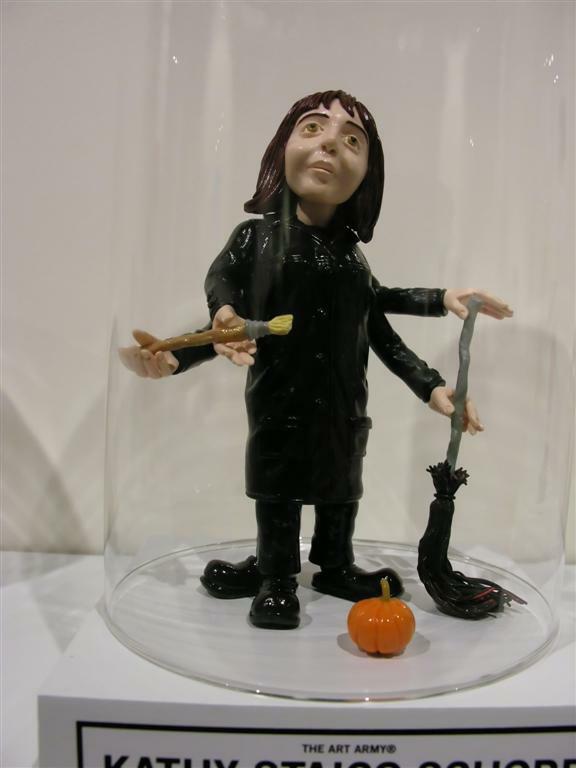 Michael Leavitt makes detailed custom articulated figures of artists and celebrities. 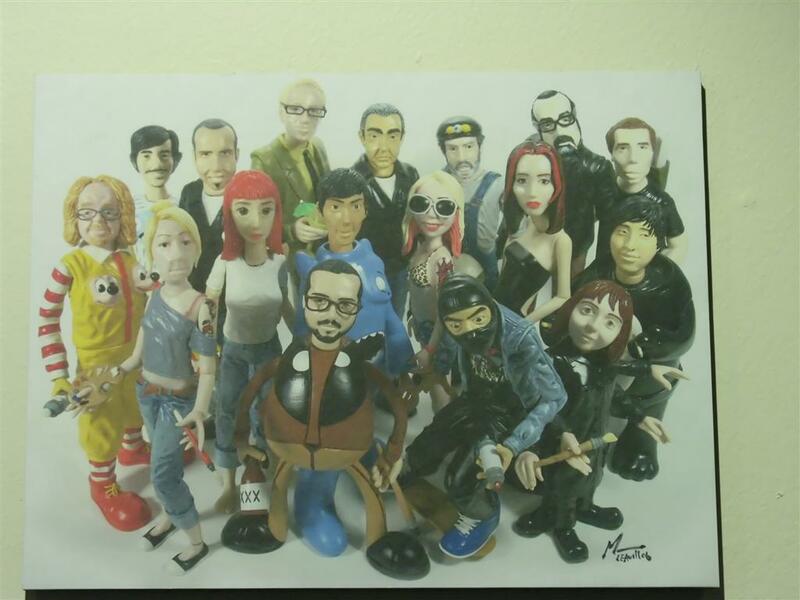 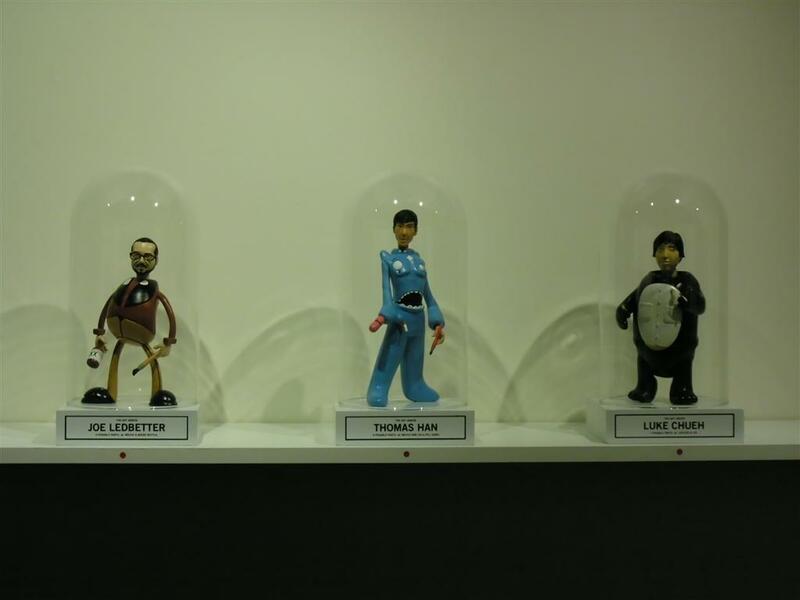 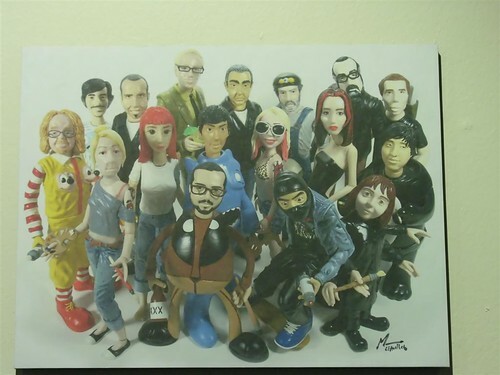 Collectively, these custom figures form his Art Army. 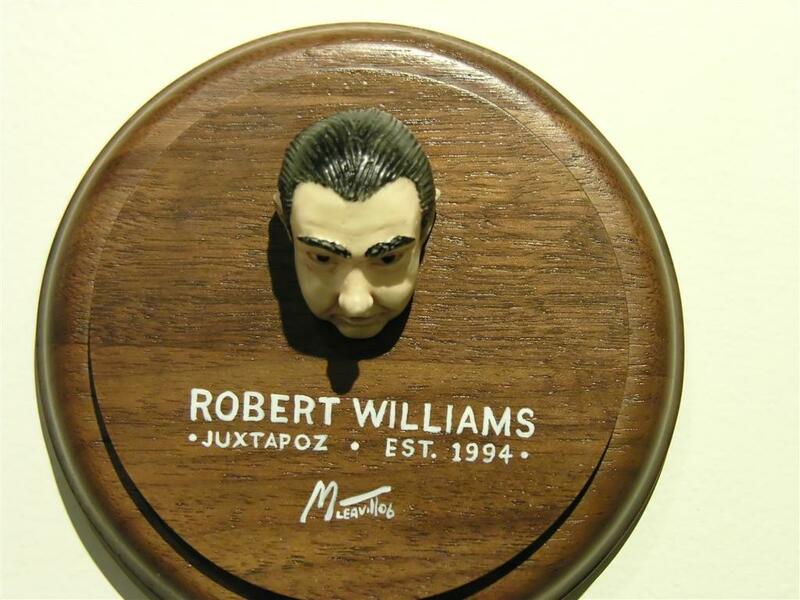 The most recent recruits immortalize well-known post-brow artists and are part of the Art Army Juxta-posers exhibition which opened this past Saturday (4.22) at Copro/Nason Gallery in Santa Monica, CA. 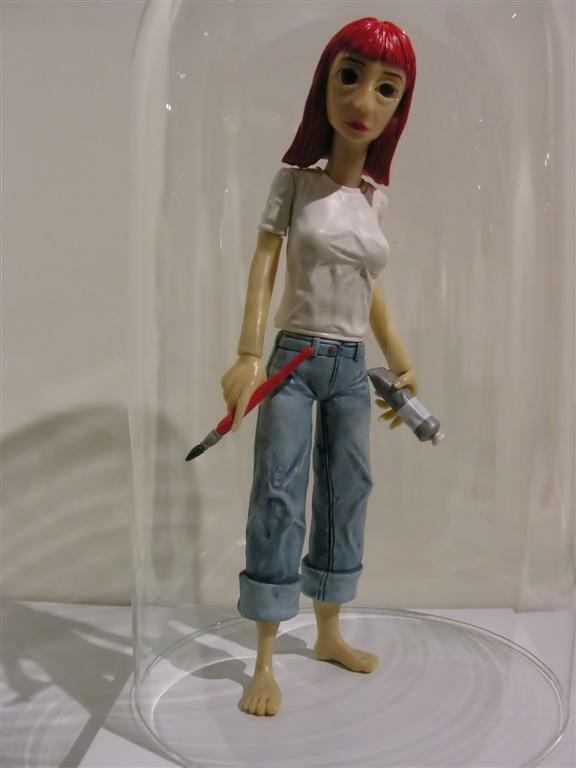 This is certainly a case where pictures don't really do the pieces justice. 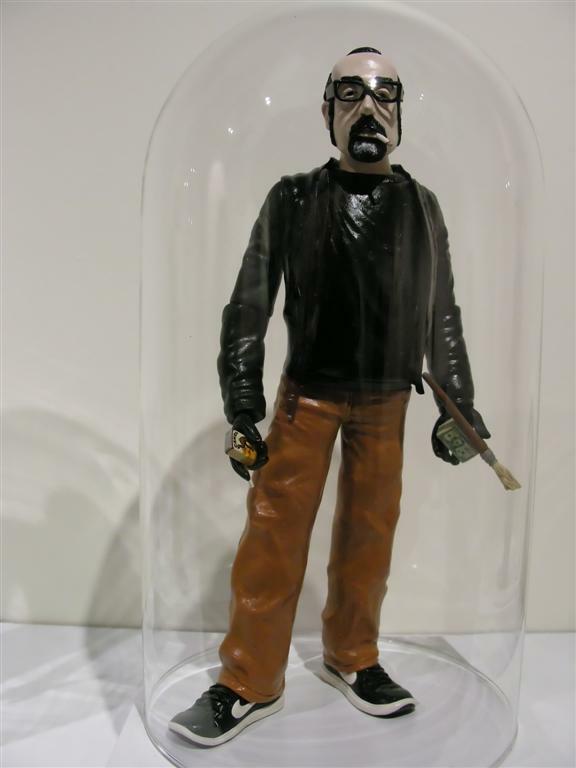 Each stands roughly 10" tall, and is quite detailed. 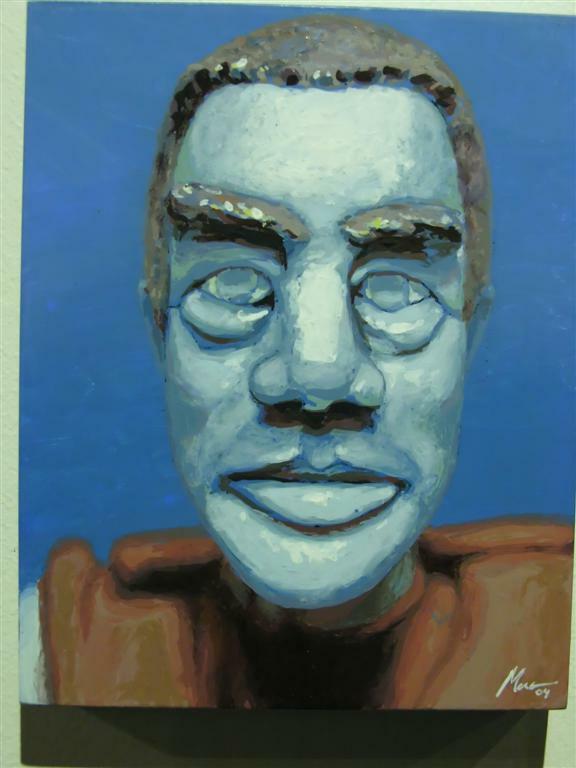 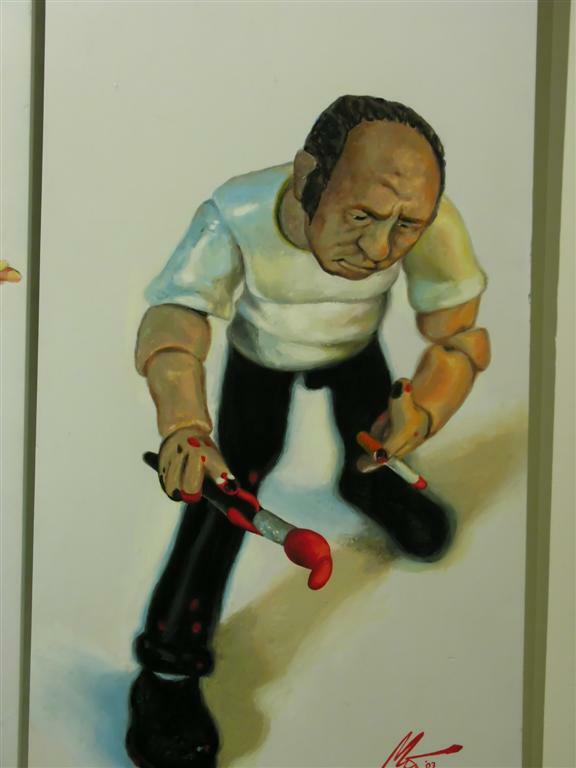 Michael has done an excellent job of conveying both the artist's physical appearance as well as their signature visual style. 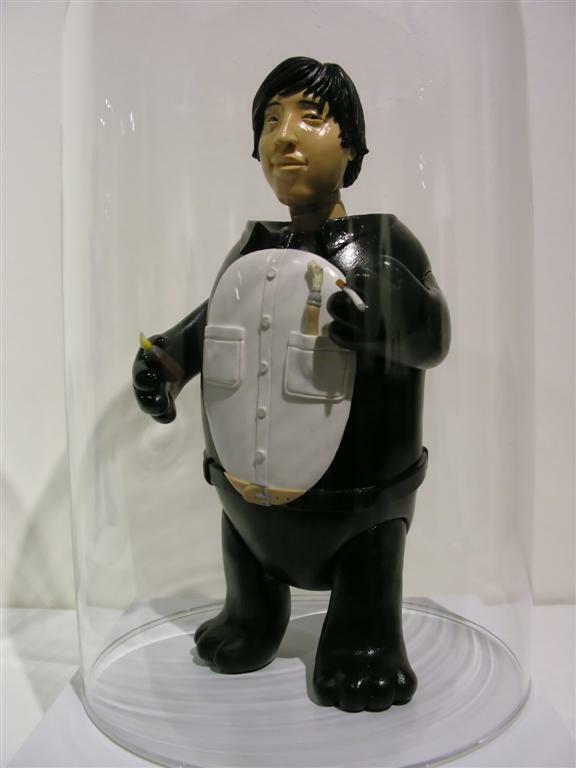 If I remember correctly, the only remaining piece was that of Gary Baseman -- complete with mini Dumb Luck Rabbit. 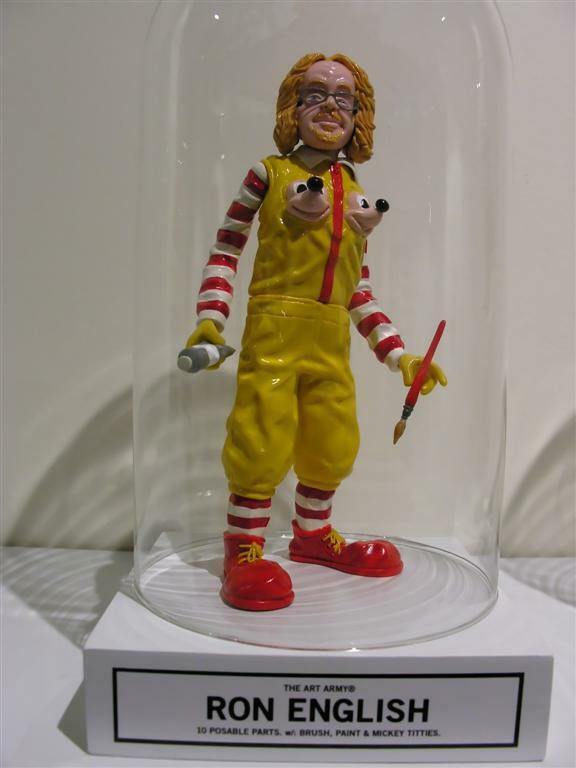 In case you were wondering, the asking price for the figures was a reasonable $600. 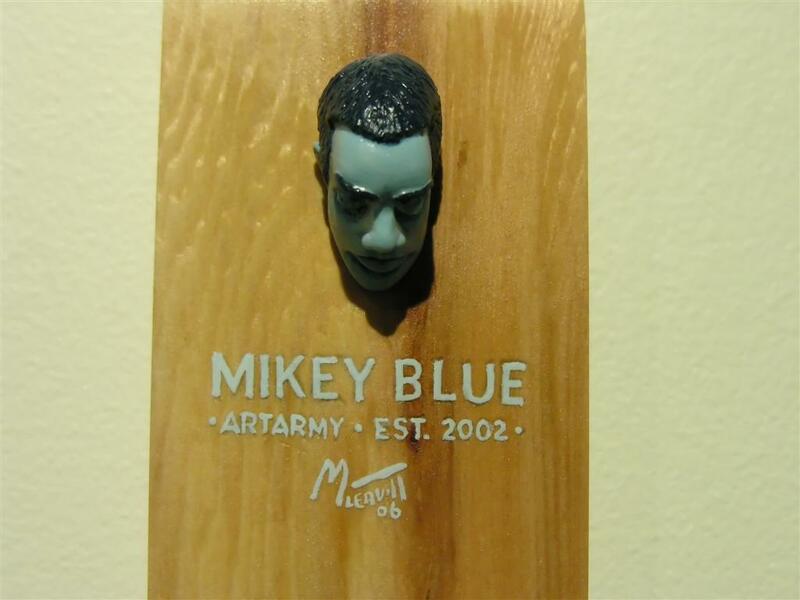 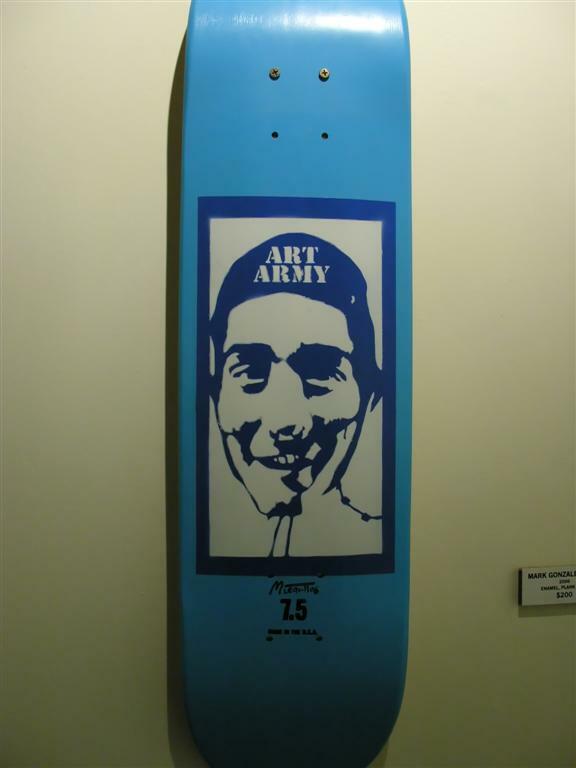 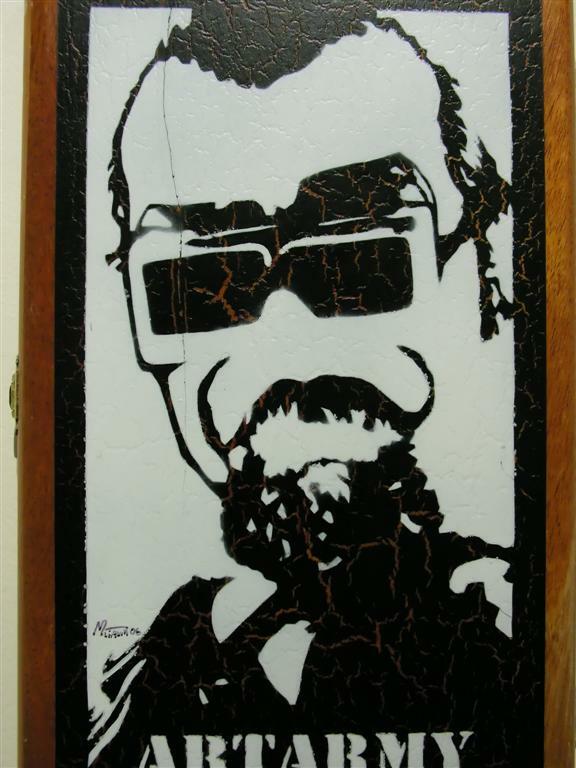 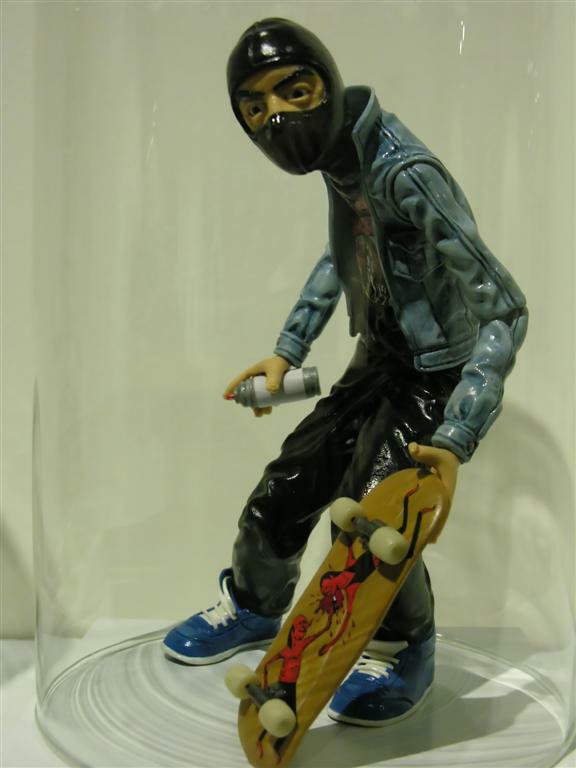 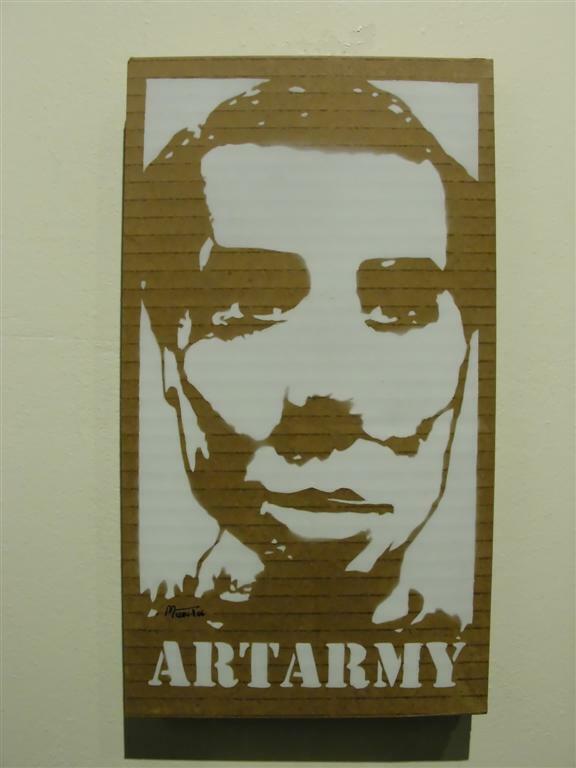 In addition to the Art Army figures, Michael was also showing some other meta-art including a skate deck and a cigar box featuring Art Army artists. 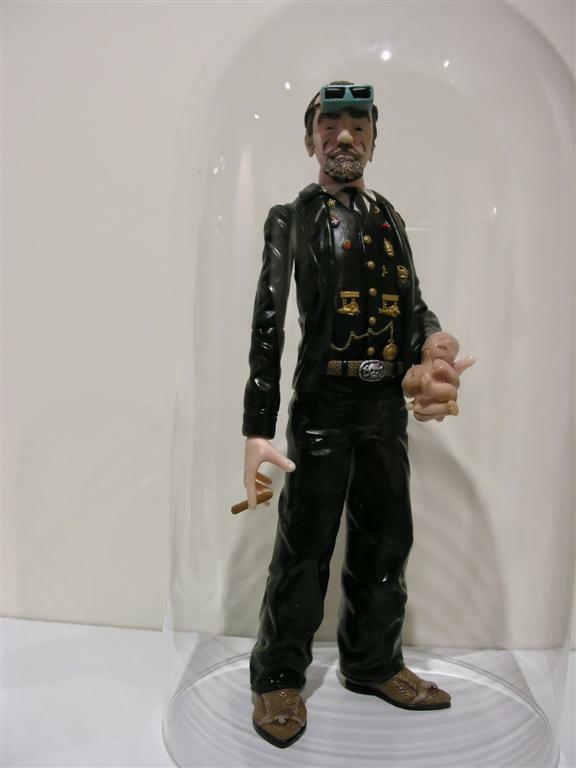 I see he corrected Frank's smokes! 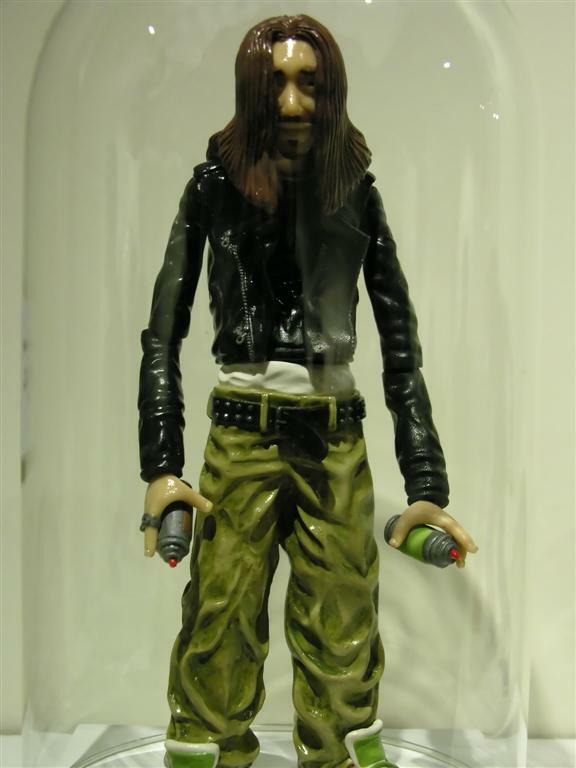 He had him holding a Marlboro pack originally.